Pristine 2 story Lennar home located in the prestigious guard gated community of Tuscany. This turn key home sits on one of the largest lots in Tuscany. 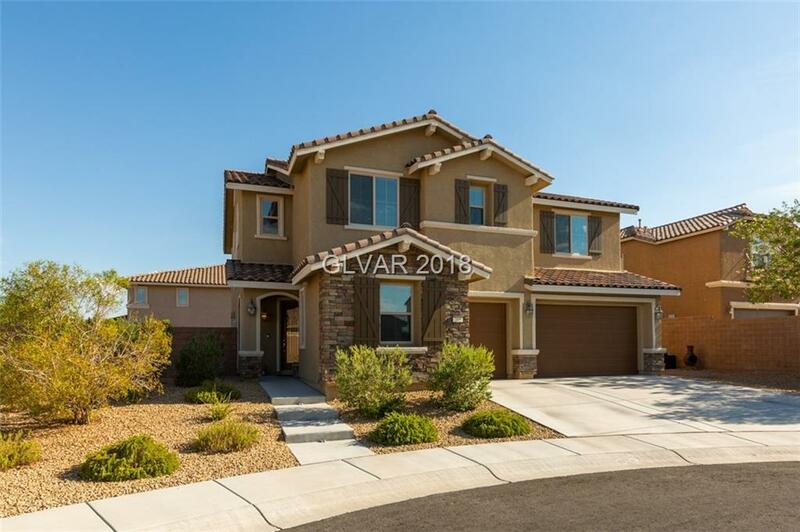 Highly upgraded home with wide open kitchen, dark wood custom cabinetry, granite kitchen counter tops with back splash and all stainless steel appliances. Loft area upstairs, balcony off master bed over looking custom swimming pool with rock waterfall feature. Pavers T.O. most of back yard area. Directions: From E. Lake Mead, Left On Cadence Crest, Round About To N. Water St. Thru Guard Gate, Left On Olivia Pkwy, L On Via Morelli, To Via Della Costrella, L On Via Vallisneri.